Deciding on what are the best whirlpool tubs on the market can be challenging with so many varieties and options. Selecting the right whirlpool tub for your needs is all about having the right information about quality, functionality, design, and price. This article looks at the 11 best-whirlpool tubs for home use that are sure to relieve stress and soothe sore muscles after a tiring day at work. 2 Why Buy a Whirlpool Tub? 6 So, what is the Best Whirlpool Tub on the Market? These are 11 of the best-whirlpool tubs available on the market based on features, benefits, price, service, and warranty to help you decide on the best whirlpool tub for your specific needs. This high-quality, freestanding bathtub with 10 adjustable body massage jets and 10 whirlpool bubble bath jets is the perfect balance between luxury, style, and comfort. It compliments every bathroom and is well priced and well-designed. Woodbridge is a well-reputed name when it comes to delivering kitchen and bathroom products of high quality and elegant designs, and this Woodbridge Deluxe doesn’t disappoint. 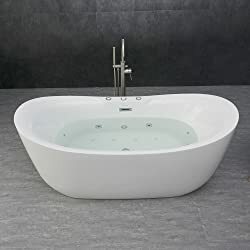 If you’re someone who does not want to spend thousands of dollars on a whirlpool tub yet want to get great quality, this is the tub you should consider. The American Standard is a perfect combination of both sophistication and long-lasting durability. 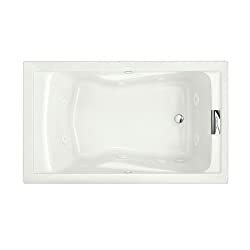 This classic 36” deep tub can easily drop into standard bath cubicles and also has the option of being under mounted. The floor of the tub is designed to be slip free, and the additional armrests molded in the design ensures complete comfort. 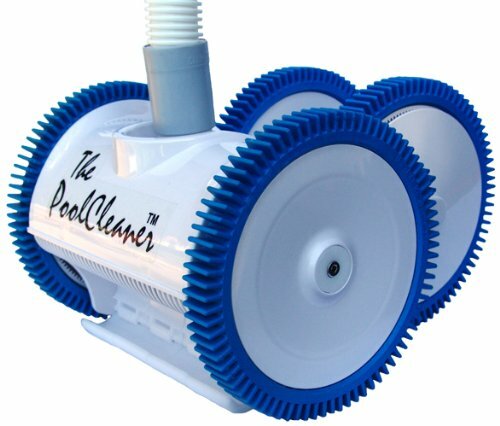 It is installed with fully adjustable water jets that are proven to be therapeutic. Even though customers talk very highly of this model, it comes with a limited 1-year warranty which makes the purchase a bit of a gamble. 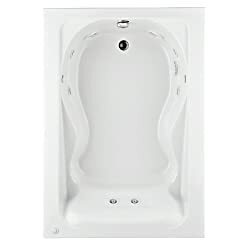 The Ariel Platinum is a luxurious single person whirlpool tub that is designed for relaxation and comfort. The 17 multi-directional whirlpool jets combined with 6 water flow settings offers some of the best massages depending on stress and soreness levels. 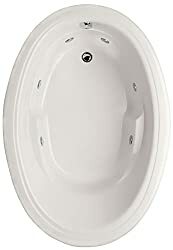 The many features that come standard with this whirlpool tub certainly add to its value as it offers all the luxuries in one compact design that is best suited for corner installations. The Kohler Archer is an extremely light whirlpool tub made from high-quality acrylic. It has a practical design, and the rectangular shape is ideal for most conventional bathrooms. The molded lumbar supports and textured bottom surface adds to comfort and safety. 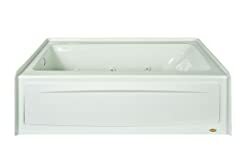 It has a clean, sophisticated style that allows for deep, comfortable soaking. The hydro jets are great at relieving stress, and the tub is spacious enough for a full-sized adult. 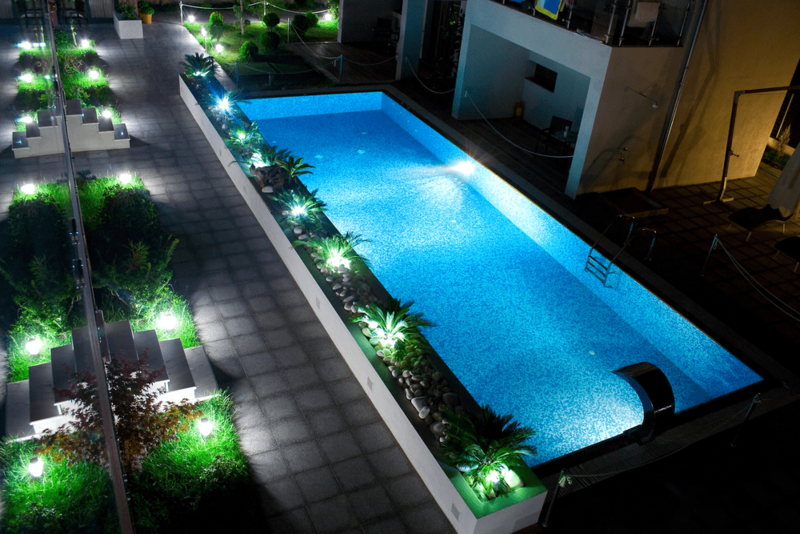 Its lightweight construction and practical design make it a great choice for apartments. This 27” by 53” fully loaded bathtub is very moderately priced in comparison to the options available on the market. The walk-in design makes it easier to get in and out which is ideal for people with mobility issues. It comes with 20 therapeutic air massage jets and 12 fully adjustable water jets for an added bathing comfort. It takes a little longer for the tub to fill to an appropriate water level but thanks to the inbuilt electric heater you don’t have to worry about the water still being hot when you get in. The Riley was designed for comfort and relaxation. The oval-shaped design is sculptured to be as comfortable as possible with molded armrests, backrests and lumbar-support. The soft edges of the oval design add to that luxury comfort feel. It doesn’t come with the most powerful jets and does not have many of the features that one would expect in a luxury tub. What it lacks in features, however, it makes up with high-quality materials and an elegant flowing design. 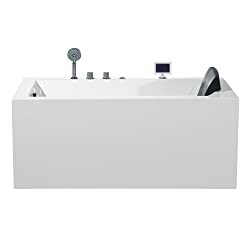 If you are space constrained and looking for a sleek, modern looking bathtub with an unmatched whirlpool bath experience then consider buying this one. It can easily be fitted in standard bathtub installations with ease. 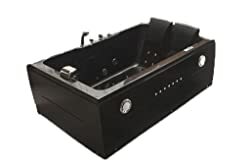 Included in it are legendary whirlpool jets that are fully customizable in terms of intensity and directionality that provides an unmatched bathing experience. The size and shape of this Signature bathtub are quite functional for a calm and soothing soak. Ariel Platinum distinguishes itself from others for its freestanding design. It is a very modern and elegantly designed bathtub that blends in with most bathroom decors and can easily be installed anywhere you want. The size of the bathtub is adequate for 2 people to soak in comfortably. 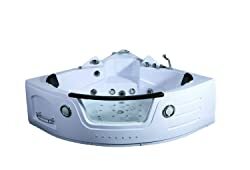 Its multi-directional water jets and LED lighting deliver a therapeutic massage that relaxes sore muscles and helps relieve stress. The jets are placed to target the pressure points of your body perfectly, and you can even customize the water flow according to your liking. The Platinum comes with additional features like a built-in FM radio, great quality speakers and Bluetooth connectivity to keep you entertained and relaxed. As it is a big tub, it takes a while to fill, but once it’s filled and you are in it, you will never want to get out. This classic bathtub is made of high-quality acrylic which is not only durable but also retains heat better than fiberglass alternatives. With a form-fitted backrest and molded-in armrests, the design of this model was made keeping comfort in mind. It is considerably heavy but can be installed in a standard bathtub compartment. Cadet by American Standard is spacious enough for one person to soak in comfortably. This tub is one of the easiest whirlpool bathtubs to clean and maintain thanks to its well thought out design and innovative technology. Its whirlpool system and adjustable jets make you feel refreshed and energized as you relax through the calming yet therapeutic massage. This is the ultimate 2-person indoor whirlpool massage hydrotherapy bathtub. With its black color and sleek design, it compliments most bathrooms giving them a stylish and modern look. Equipped with powerful jets this whirlpool tub offers the best hydromassage money can buy. The bathtub is made from high-quality materials including acrylic, fiberglass, stainless steel and ABS compound material for increased durability and better insulation. This is a great corner fitting bathtub that can become a beautiful addition to any bathroom décor. It is large enough to accommodate 2 people at once and includes 2 removable waterproof soft padded pillows that provide great support for the neck. 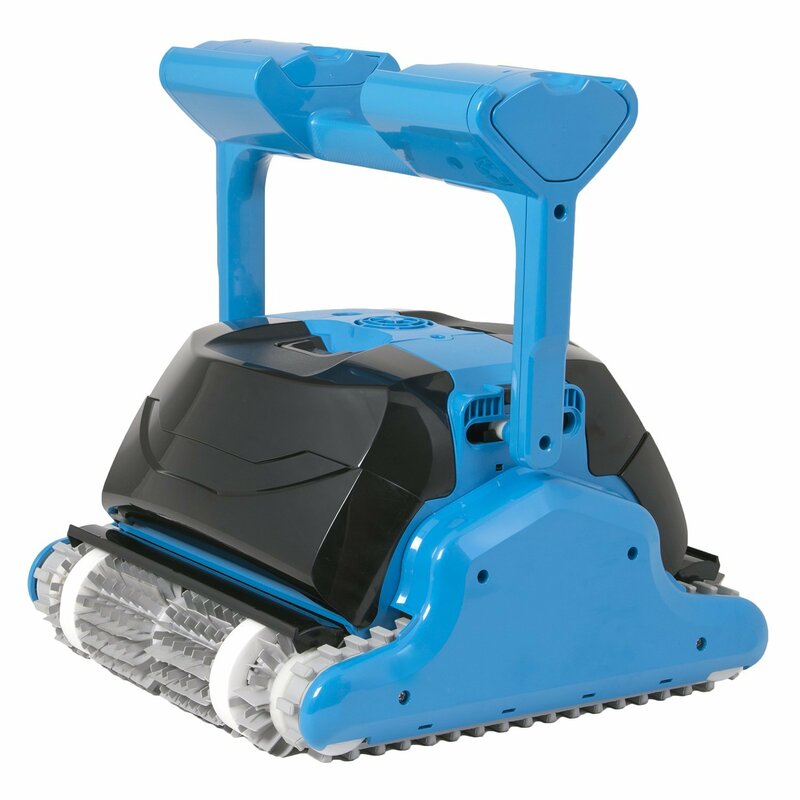 This bathtub is equipped with a lot of multifunctional water jets, and complimentary remote control is provided to control the functions of each jet. 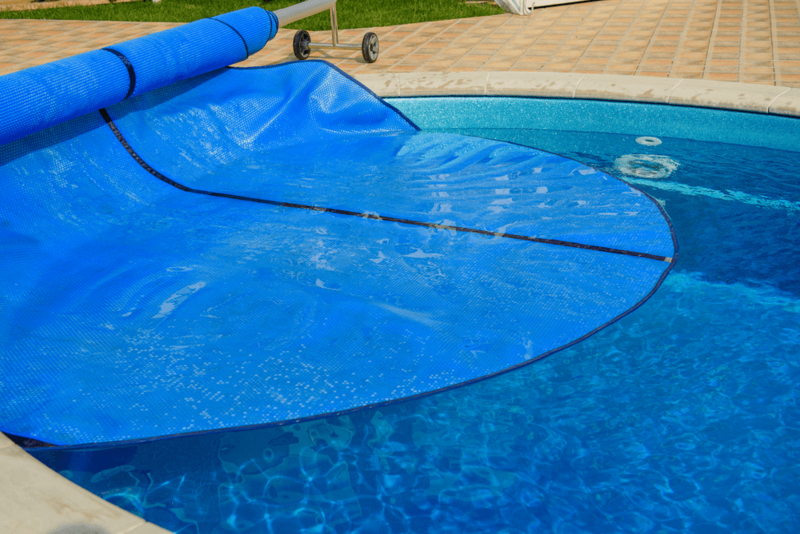 It also comes equipped with a water heater that keeps the water at a warm, comfortable temperature. This bathtub has LED lights installed inside the tub which enhances the overall therapeutic experience. Additionally, this bathtub comes with speakers and a radio to keep you entertained while you enjoy your spa-like experience. When it comes to luxury whirlpool bathtubs, this particular model is highly recommended for its comfort and out of this world massage capabilities. Why Buy a Whirlpool Tub? Whirlpool tubs are becoming increasingly popular in homes as they offer a much easier and more affordable way to relax in the comfort of your own bathroom. The best whirlpool tubs come equipped with water and air jets that help to relieve stress and soothe exhausted muscles. A whirlpool tub is the very essence of luxury and comfort. The vigorous massages leave your body in a state of complete relaxation with the best designs offering comfortable sitting positions that leave you longing for more. 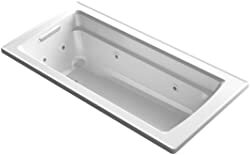 Whirlpool bathtubs can often be incorporated in existing bathtub cubicles with some models requiring very little customization and fittings. Freestanding models require minimal installation and look absolutely stunning in small or large bathrooms. Whirlpool bathtubs are an affordable and relatively easy solution for relaxing and shedding off that daily stress and fatigue. A standard whirlpool tub starts at about $400 and can go up to $10,000 depending on customization, size, and features. 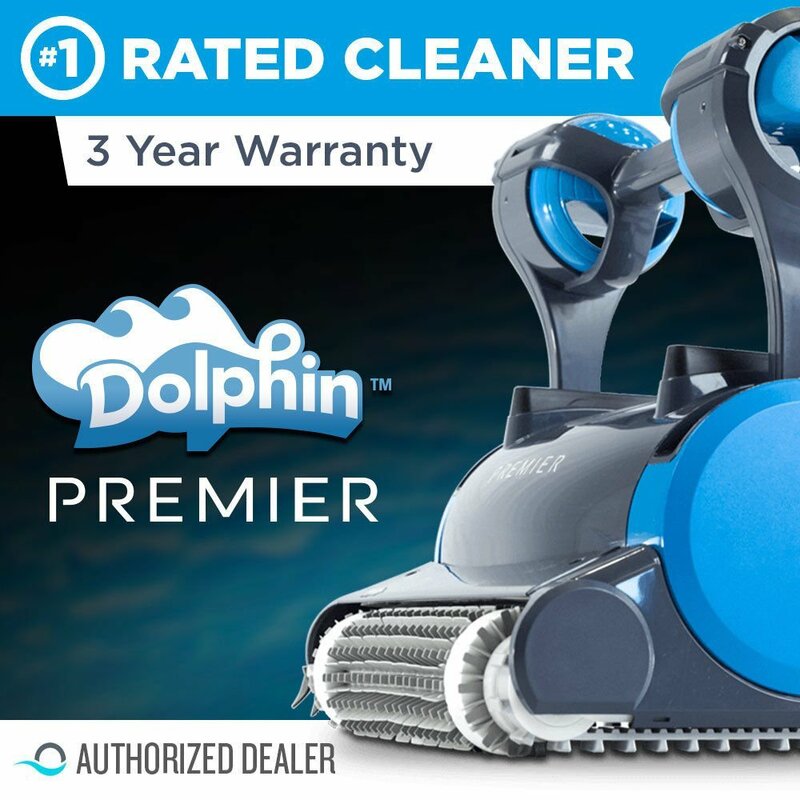 This massive price change means that one has to be exceptionally careful when deciding what whirlpool to purchase for their individual needs. When selecting the right whirlpool tub knowing the size and layout of your bathroom is probably one of the essential things in determining the right size and shape of the tub. Factoring in things like plumbing and space can help narrow down choices and make the selection process a whole lot easier. Whirlpool tubs can come with either water jets or air jets, and the more luxurious ones often come with both. These jets help in massaging the body leaving it a more relaxed state. 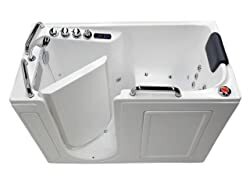 Other features that one may want on their whirlpool tub include better insulation for retaining heat, radio or Bluetooth connectivity, water heater, hand showers, LED lighting and much more. Every whirlpool tub comes with either an air jet or water jet that requires a pump to power up. Certain whirlpool models offer a combination of air and water jets for more vigorous massages that require bigger pumps. The correct placement of these pumps in a bathroom where they can be easily accessible is essential as they require regular maintenance and upkeep in order to work at optimum levels. Whirlpool tubs can be made from a selection of different materials each with their own traits. The most common and cheapest whirlpool tubs are made from fiberglass while more luxurious and expensive whirlpool tubs are usually acrylic. 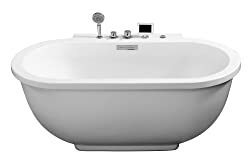 Tubs can also be made from porcelain on steel, cast iron and cultured marble depending on your taste and budget. No matter the type of whirlpool tub you purchase the chances are you will have to spend some amount of time and money in its maintenance and upkeep. Things, like checking the heavy duty wiring for wear and tear and making sure they are no leaks, are just the basics. Upkeep requires the flushing out of water from the hydro jets so that bacteria does not contaminate the water. Maintaining your whirlpool tub will help get you the best results and countless hours of relaxation and comfort. 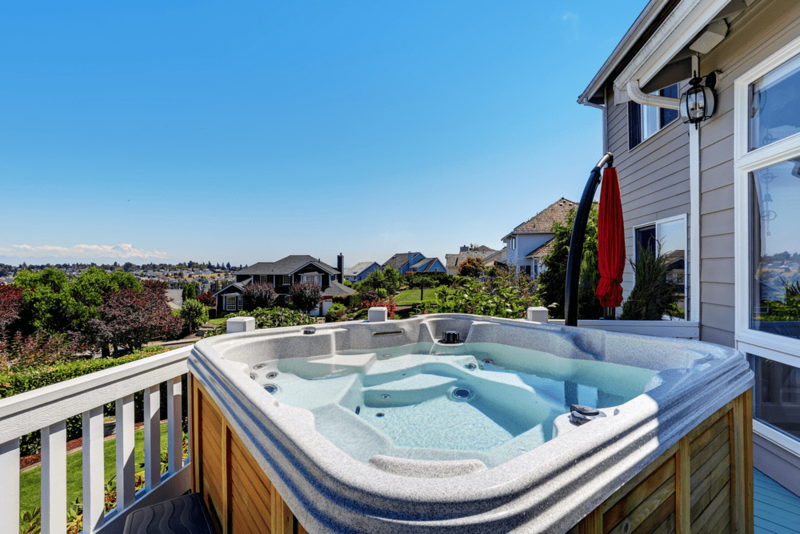 Luxury whirlpool models often have both water jets and air jets to deliver the best massages, but in the more standard models, you are often given the choice of only one. So then which is better the water jet or the air jet? Water jets are more common in whirlpool tubs than air jets as they tend to give more vigorous massages. However, they are harder to maintain as some water often remains in the jets after you are done bathing that can be breeding grounds for mold and bacteria. This means that water jets have to be flushed out every other week in order to keep the jets safe and clean. Air jets offer a more subtle massage experience but are considerably noisier than water jets. 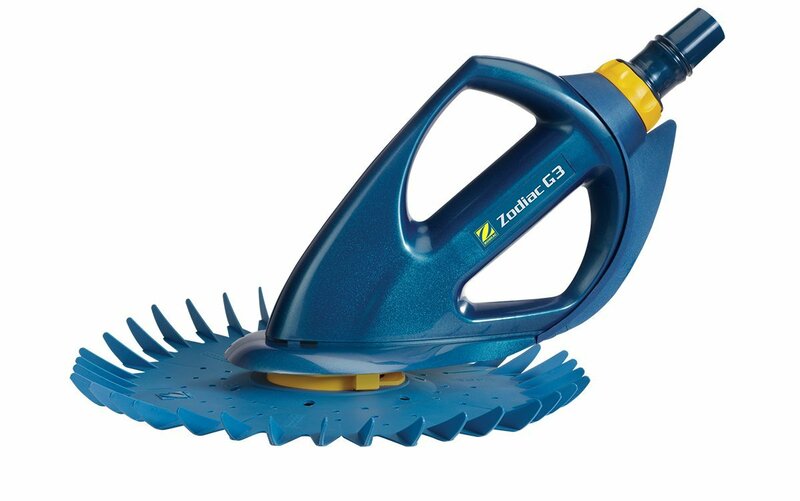 They require less maintenance than water jets, but they have a major downside as they cause heat to dissipate more rapidly which makes maintaining water temperature a challenge. 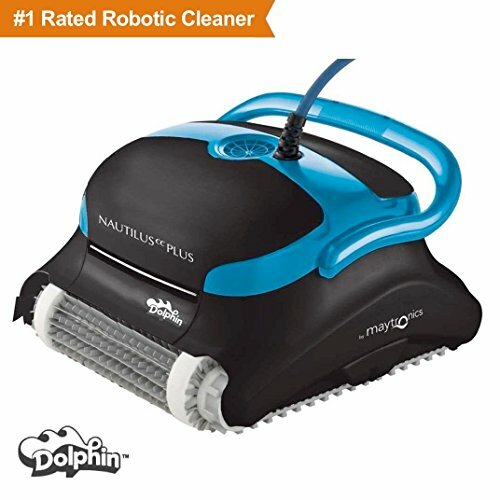 A combination of water and air jets is the ultimate solution for that perfect massage, but it comes at a price. The best and most luxurious whirlpool tubs have a combination of both and are definitely worth the extra money! For a relaxing and safe bathing experience in whirlpool tubs, it is highly recommended that one follow these safety tips. Don’t leave the jets on for too long as they can overheat. Don’t stay in a whirlpool tub for too long particularly if you have high blood pressure or cardiovascular problems. Be careful when standing up especially when the jets are still operational. Following these simple safety tips will ensure that every bath you take is as relaxing and enjoyable as the last. So, what is the Best Whirlpool Tub on the Market? 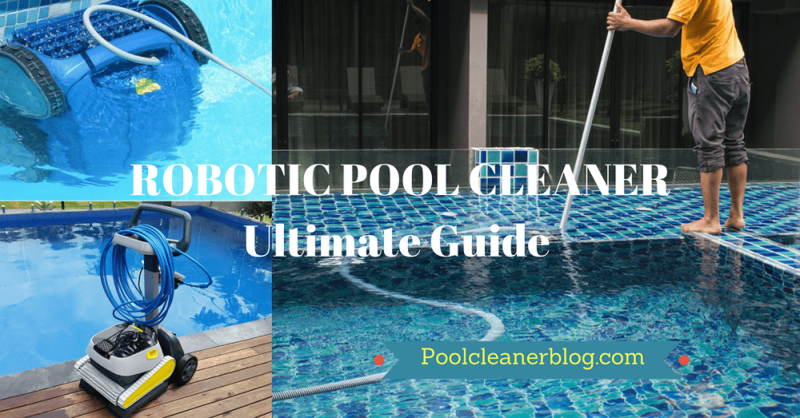 Having dwelt deep into the subject of whirlpool tubs and having looked at some of the best designs and brands available on the market the answer to the question that started this guide is all but clear. The best whirlpool tubs on the market depend on your needs and your budget. Any of the 11 best whirlpool bathtubs reviewed in this article would be ideal additions to your home. It all comes down to knowing the size, the type of material, and the price that would best meet your individual needs. By breaking down information in a concise and informative manner, one is able to make more informed decisions, especially when selecting products in such a competitive niche. This guide and associated reviews were formulated to help in the selection of the ideal whirlpool tub for your home. If its relaxation and comfort that you want, nothing does that better than a luxurious and comfortable whirlpool tub. The ultimate luxury at such affordable prices makes whirlpool tubs the ideal addition to your home bathroom.